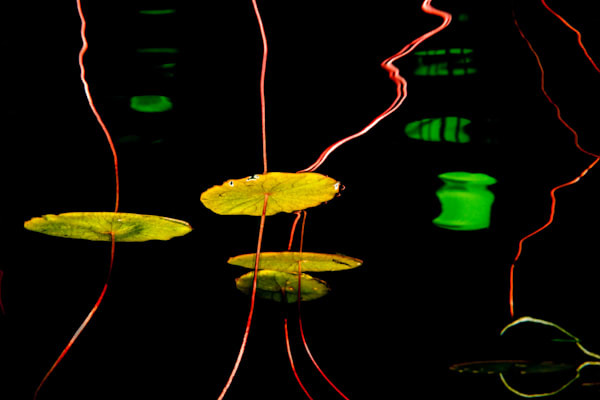 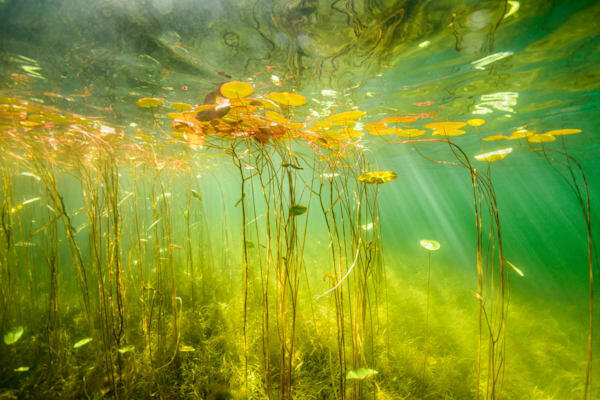 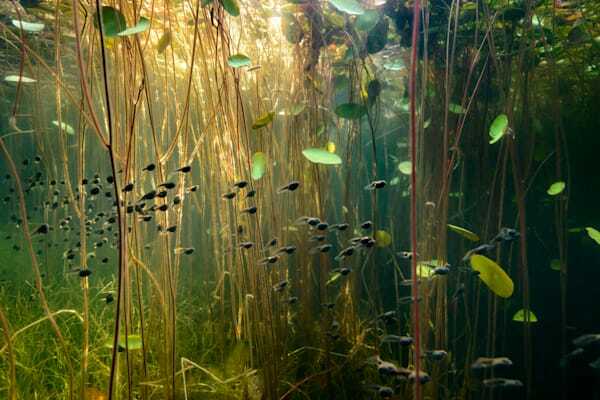 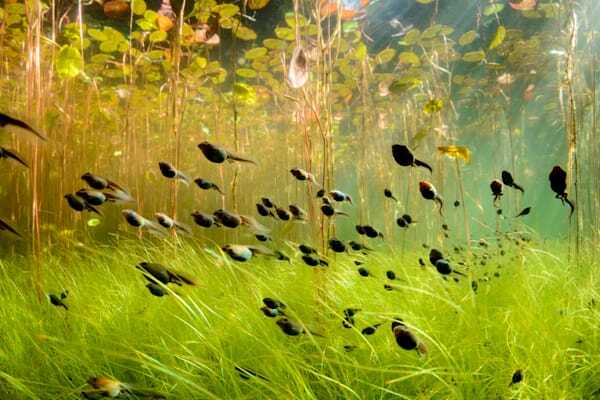 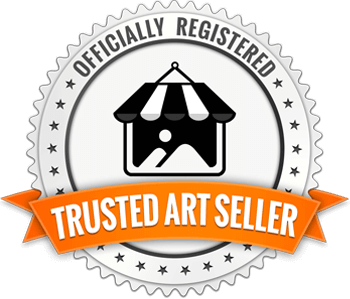 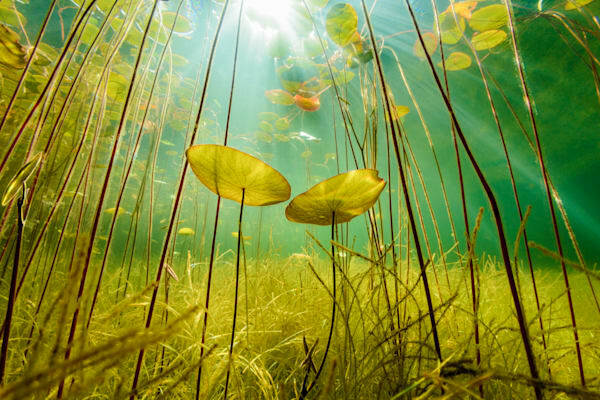 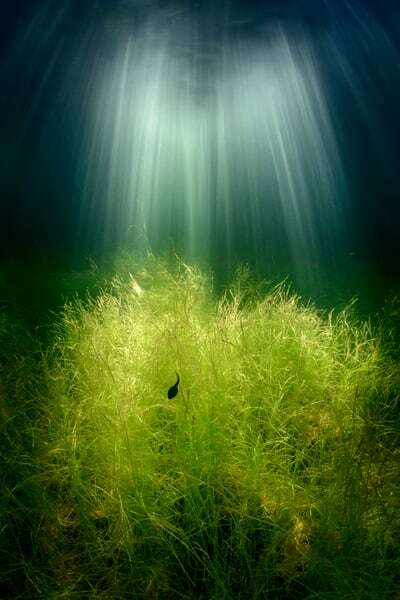 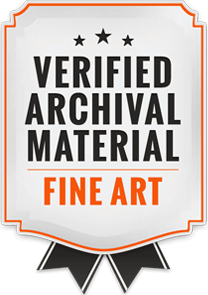 Fine Art Underwater photographs from rivers, lakes and ponds. 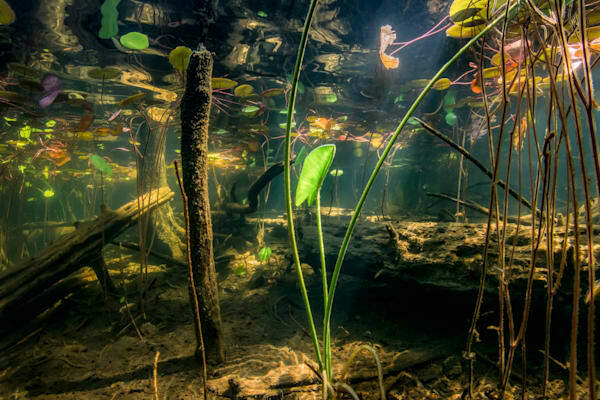 The surprising amount of life in these often overlooked bodies of water make for some great art subjects. 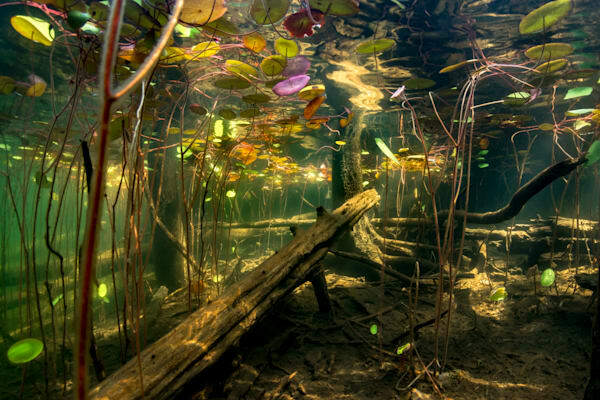 Some of my best and most popular images come from these areas of the watershed. 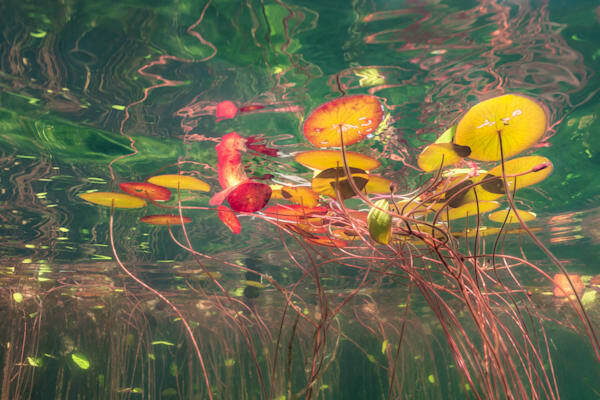 When I started in underwater photography I right away was drawn to freshwater bodies. 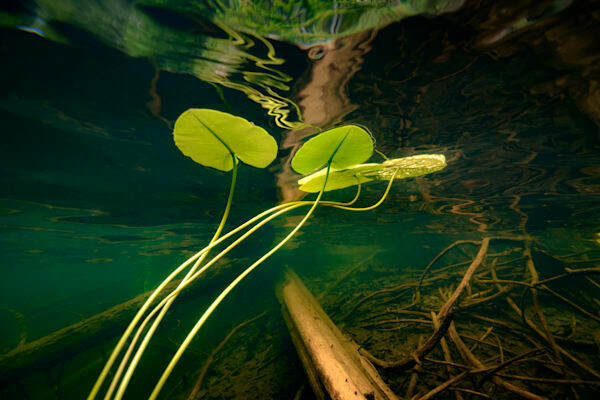 Some of my first work was in local swamps and lake margins. 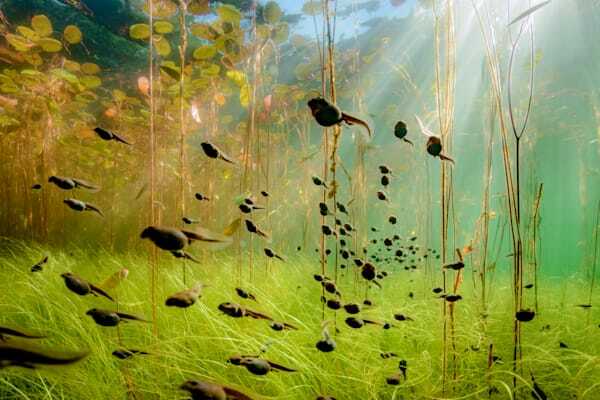 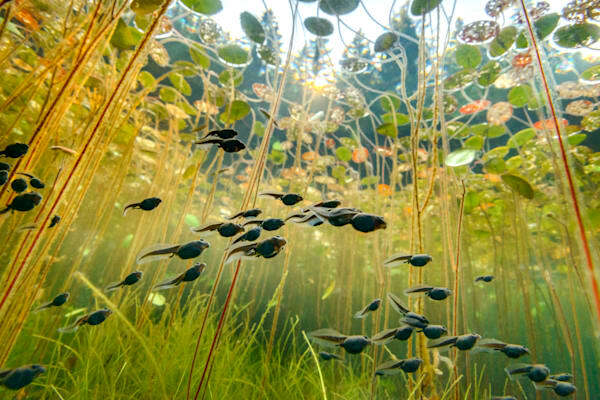 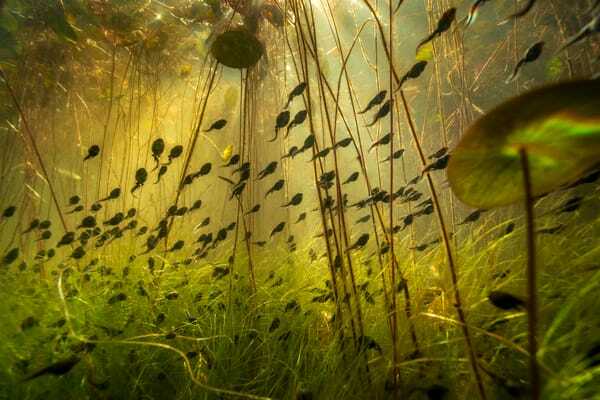 It was on one of these times that I took my now well known Tadpole image that has been heavily featured by National Geographic. 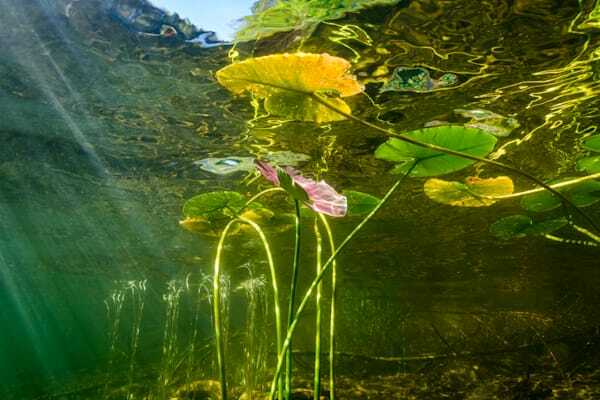 I have spent many days happily swimming around lily ponds and small pools. 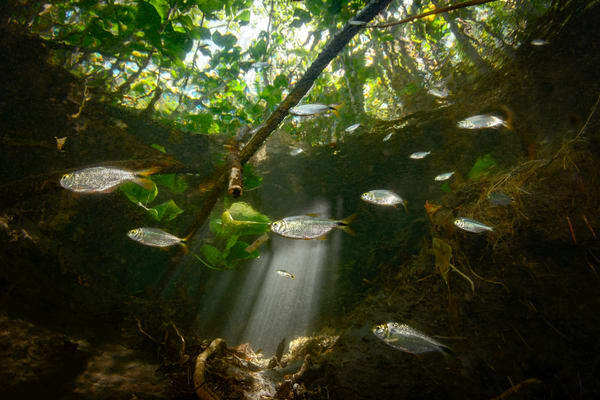 Oceans are usually where most underwater photography is done, but I have really enjoyed showing a side of life that is not so commonly seen.